Newly developed 3MOS sensor reduces the effects of rolling shutter. High Sensitivity (F13 at 50i), low noise (60dB), 1000 TV line resolution. AVC-ULTRA codec camera-recorder including AVC-LongG50/25/12*1/6*1. Wireless and wired control and streaming of proxy content. 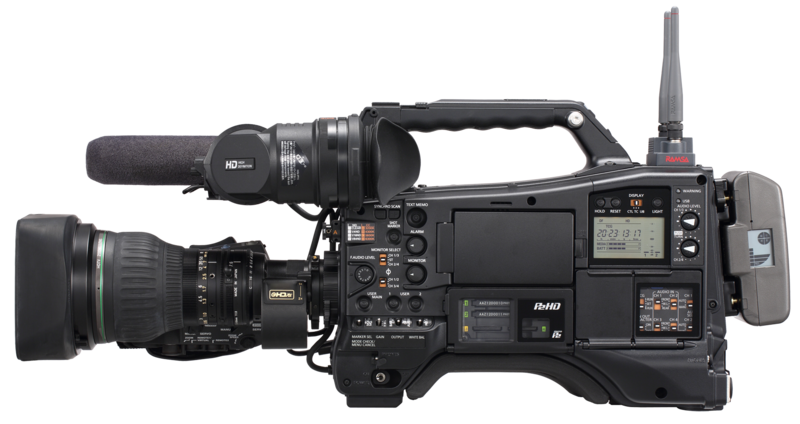 Introducing the AJ-PX5000G, the first P2 HD camcorder with native AVC-ULTRA recording and built-in microP2 card slots. This 2/3-type, 2.2M 3-MOS camera combines superb image production and light weight. The AJ-PX5000G features 720p and 1080i recording, as well as 1080/50p recording, a first for P2 HD cameras. 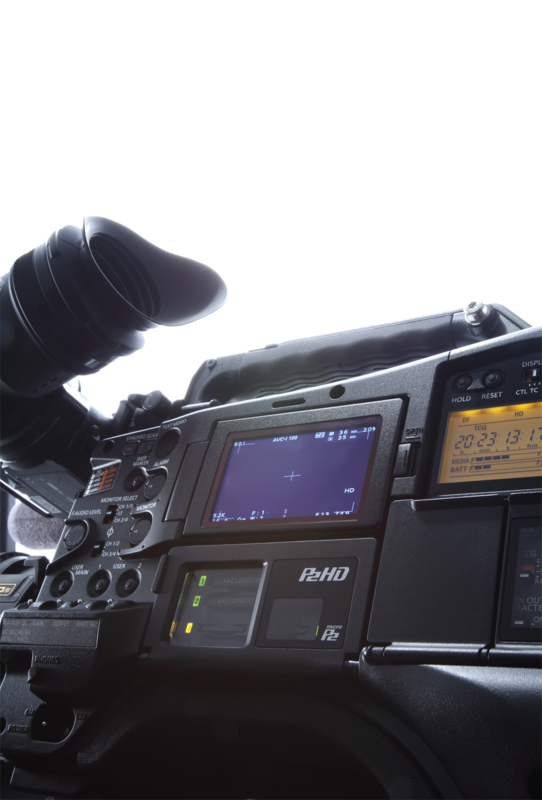 With its breadth of recording options, exceptional image quality, and expandability the PX5000G is targeted at network news, documentary, high-end corporate and sports production, as well as the rental market. The AJ-PX5000G’s newly developed three 2.2M pixel MOS sensors deliver a horizontal resolution of 1000 TV lines and sensitivity of F13 at 50i and a signal to noise ratio of 60dB. The camcorder’s 2/3-type shoulder-mount design accommodates a variety of interchangeable lenses. 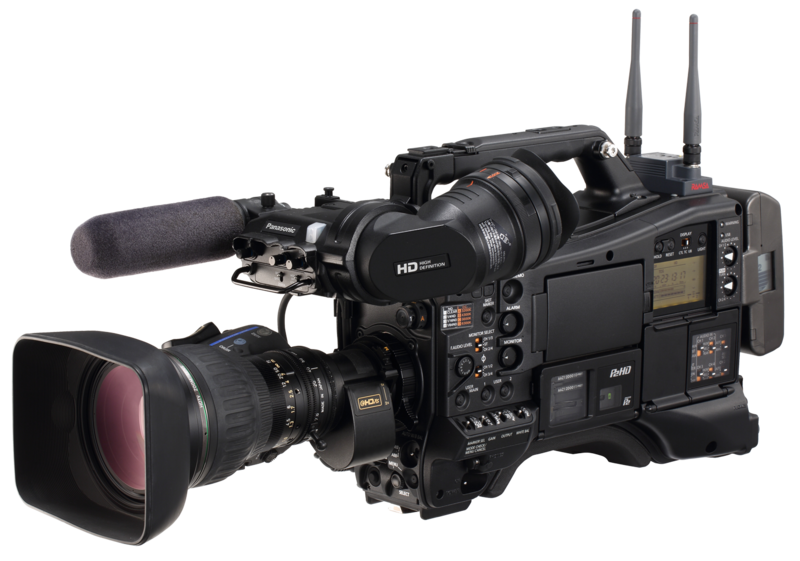 The PX5000 can record in AVC-LongG, AVC-Intra100/50, DVCPRO HD, DVCPRO50, DVCPRO and DV. The unit is 50 Hz and 59.94 Hz switchable for worldwide use. Panasonic’s AVC-ULTRA offers master-quality and/or low-bit-rate 10-bit, 4:2:2 recording in Full HD to meet a variety of user needs from mastering to transmission. AVC-LongG, designed for applications where file size is critical, offers 10-bit, 4:2:2 sampled recording in a much smaller file size, saving storage cost and transfer times over MPEG-2 while maintaining equal or better video quality. 1080p recording at 50 frames per second is added to existing AVC-Intra compression modes. For ultra high-end mastering and mezzanine workflows, Class 200 will produce visually lossless compression, ideal for migrating current HD tape masters to a file-based format without degradation, and with a far smaller file size than many platform-specific mezzanine formats. Weighing around 3.4kg the AJ-PX5000G is the first P2 HD camcorder with built-in slots for Panasonic’s new microP2 cards, which have an SD card form factor. The AJ-PX5000G has two microP2 slots and two standard P2 card slots*2, as well as an SD card slot for proxy/metadata recording.The AJ-PX5000G is “future-proofed” with a wide range of features including wireless metadata input*1 and high-resolution proxy recording. The AJ-PX5000G features wireless and wired connectability with Wi-Fi, USB and Gigabit Ethernet, including wireless control of key camera functions from a smart phone*1. In addition, the camera recorder will support LiveU’s LU40i video-over-cellular device. The camcorder is equipped with Chromatic Aberration Compensation (CAC) to maximize lens performance; Dynamic Range Stretch (DRS) function to help compensate for wide variations in lighting; and a highly accurate flash band detection and compensation algorithm that minimizes this effect. The PX5000G delivers seven-mode gamma selection and extensive digital image settings. Its key features include a smart user interface that permits accessibility to the camera’s extensive functions from an LCD display on the side of the camera, a simplified waveform and vectorscope; a 10-pin remote terminal enabling remote camera operation; and an optional camera studio system. Standard features include Scan Reverse for use with a cinema lens adaptor; Digital Zoom function for 2x and 4x close-ups; Variable Shutter Speed from 1/12 to 1/2000 sec plus Synchro Scan; and a four-position (CLEAR, 1/4 ND, 1/16 ND, 1/64 ND) optical neutral density filter wheel. Professional interfaces include MON out (can be set to output HD-SDI), HDMI out, HD/SD-SDI in/out, 3G-SDI out, genlock in for multi-camera operation, timecode in/out, USB 3.0 (HOST) and a two-channel UniSlot compatible wireless receiver. The PX5000G has two XLR audio inputs, and records up to four channels of 48kHz, 24/16-bit audio. *3 Optional AG-YA600G HD/SD-SDI Input Board is required.